Photo from Mick Jagger’s Facebook page. 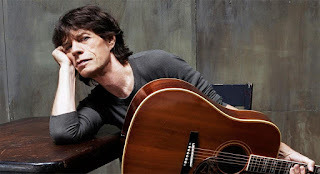 Happy Birthday to Mick Jagger, truly one of the iconic figures in rock and roll. I still have fond memories of seeing the Exhibitionism exhibit that came to Navy Pier in Chicago a few years back, and of course, all the great songs Mick and his mates in the Rolling Stones have given us over the decades. Rock on, Mick! The powerful triple bill of Jeff Beck, Paul Rogers, and Ann Wilson will perform this Sunday night at the Huntington Pavilion on Chicago’s lakefront. There will be a tribute to Val Camillletti this Sunday at Val’s Halla Records, the store she ran in Oak Park for several years. Camilletti passed away earlier this week at the age of 78. Ary Paloma Jeebie of The Amazing Heebie Jeebies and Ellis Clark and The Big Parade will do in-store performances, and it’s more than likely customers will share their favorite memories. Val’s Halla was a long-time destination for avid vinyl collectors, and the store always had a full day of entertainment on the annual Record Store Day. Local psychedelic masters Secret Colours will at Reggies this Sunday night along with Los Angeles-based, self-described “cinematic psychedelic western pioneers” SPINDRIFT. The mind bending music starts at 7:00 p.m.
Tickets went on sale today for a special screening of Tim Burton's The Nightmare Before Christmas - 25 Years that will also feature a live performance by the Chicago Philharmonic. The event takes place on Halloween night at the Auditorium Theatre in downtown Chicago. Lollapalooza returns to Chicago next Thursday through Sunday, and the August edition of Chicago-based monthly New City has a feature article titled Taking Back Guyville - A Feminist Guide To Lollapalooza. It includes profiles on The Regrettes, St. Vincent, Chvrches, Lizzo, Larkin Poe, Portugal. The Man, and Alex Lahey. The same issue also has the annual Music 45 - Who Keeps Chicago In Tune listing. Mavis Staples came in at number one, followed by Chicago Symphony Orchestra Conductor Richard Muti at second, and Chance The Rapper at third. Other local music acts on the list are Jeff Tweedy, Common, Buddy Guy, Kurt Elling, Tortoise, Smashing Pumplins, Robbie Fulks, Twin Peaks, British transplant Jon Langford, and the off-kilter marching band Mucca Pazza. It was nice to see a feature story on local artist/curator/journalist Robin Dluzen in the August New City. Dluzen was the editor of the Kathryn Born run Chicago Art Machine flight of online publications. I contributed a number of articles to Chicago Art Machine. With Lollapalooza just around the corner, it was interesting to read journalist Sam Richards’ piece in the August issue of Uncut magazine about what’s believed to be the first rock festival in England. Barbecue 67, held on May 29, 1967, at the Tulip Bulb Auction Hall in Spalding, featured performances by Jim Hendrix, Pink Floyd, and Cream. That same issue has interviews with Graham Nash and Davies, as well as an extensive cover story on Prince. Musician Adam Marsland has created a small label called Karma Frog that specializes in power pop and garage rock. The label recently released a new CD by Mod Hippie, a group that includes D.J. Bonebrake from X on drums and David Marks of the Beach Boys on lead guitar. Uncommon Ground’s 1401 W. Devon location (they also have one on Clark Street) celebrated its 10th anniversary of being the first certified organic rooftop farm in the country this past Thursday. Another Brick In The Wall, an opera based on Pink Floyd's classic album The Wall, has opened in Cincinnati. According to a blurb in this past Tuesday's Chicago Tribune, Pierre Dufour's take on the fictional rock singer Pink will run through July 31. The Newberry Library on Chicago's near north side is currently hosting a book sale that runs through this Sunday. The Newberry is located at 60 W. Walton Street. CatVideoFest makes a triumphant return to Music Box Theatre in Chicago on September 9; with screenings at noon and 2:30 p.m. The current issue of Streetwise, a publication dedicated to helping homeless people get back on track, has a calendar section that lists upcoming events like the Chicago Poetry Block Party this Saturday at Austin Town Hal and the Women And Children First bookstore's annual used book sale going on tomorrow and Sunday at 5233 N. Clark. The Handcuffs and The Imperial Sound will share a double bill this coming Monday at Martyrs' on Lincoln Avenue. The early 8:00 p.m. starting time is due to it being a school night. Congratulations to Young Jean Lee on being the first Asian-American woman playwright to have a production on Broadway. Her Straight White Men recently opened there. Photo from the Pitchfork Music Festival Facebook page. Welcome to everyone who’s in town for Pitchfork. The annual celebration of indie rock, hip hop and other out-of-the-mainstream genres started today, and runs through Sunday in Union Park. The Chicago Tribune and Chicago Sun-Times, along with the city’s weekly free papers, The Reader (with its traditional collectable cover) and Redeye, all have extensive Pitchfork coverage in their latest issues. Power pop fans who show up at FitzGerald’s in Berwyn tomorrow night are in for a fascinating double bill as Cliff Johnson and The Raine open the evening, and Johnson and the original members of Off Broadway close it. The Raine (John D. Kolonel, Dave Sebastian, Bill Bickel, and Bill Kowalski) have done a great job of backing Johnson as he performs Off Broadway tunes, but it’s also a safe bet that longtime fans will love to see the original Off Broadway back on stage again. Alt rock band whitewolfsonicprincess will be at The Store tomorrow night with The Darkroom Men and Flapunco. ArtFest Michigan Avenue opened today in the shadow of the Tribune Tower and will run through Sunday. Tickets went on sale today for Michael Nesmith and The First National Bank Band at The Old Town School of Folk Music on September 13; KT Tunstall at Park West on November 1; and Violent Femmes at The Vic on November 4. Shows coming up next Friday, July 27 include My Bloody Valentine at The Riviera Theatre; Mavis Staples at the at Canal Shore Golf Club in Evanston; and Peter Himmelman at SPACE in Evanston. On Sunday. July 29, Jeff Beck, Paul Rogers, and Ann Wilson will perform at the Huntington Pavilion on Chicago’s lakefront. A special tour edition of Ann Wilson’s upcoming solo album Immortal—a collection of cover material by some of her favorite artists—is now available for a digital download. Two of the tracks were recorded live at The Arcada Theatre in St. Charles, IL. The full album comes out in September. In other album news, Paul Collins, a member of the highly influential trio The Nerves, and the founder of the dynamic power pop outfit The Paul Collins Beat, has been notching positive reviews for his latest, Out Of My Head. 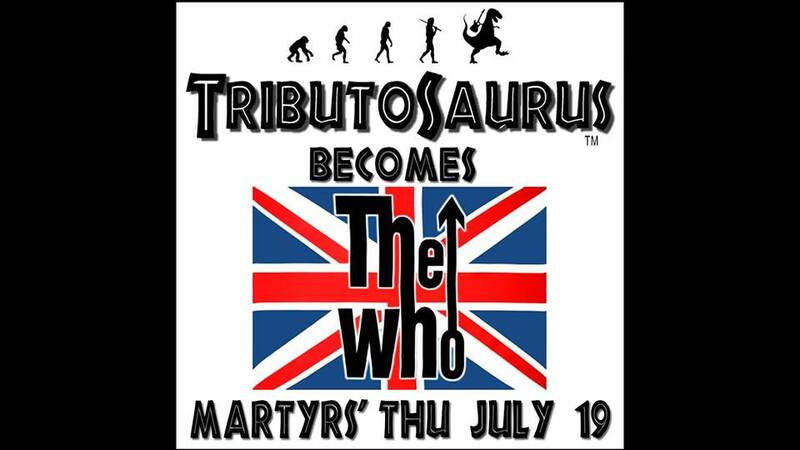 It’s always fun catching a Tributosaurus show, but its tribute to The Who this Thursday night at Martyrs’ has an added significance. The club, located on Lincoln Avenue a few blocks south of Irving Park, has been hit with a financial crisis due to what the owners call an “unexpected collapse of an adjoining business and long-time tenant.” Proceeds from Thursday’s show will help Martyrs’ continue to book some of Chicago’s best local talent. Frisbie (founding member Steve Frisbie will be part of the Tributosaurus show), The Handcuffs, Phil Angotti, Ellis Clark, The Amazing Heeby Jeebies; Tomorrow The Moon, The Sunshine Boys, and Sons Of The Silent Age are some of the acts that have become regulars. It’s also been the home of an annual George Harrison Birthday Bash, Halloween weekend tribute shows, and a regularly scheduled rockabilly showcase. 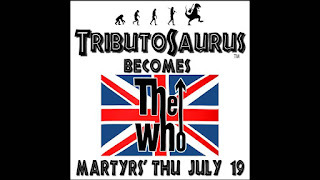 WXRT has done live broadcasts with major recording artists like The Pretenders at Martyrs’, and as a Facebook post promoting the upcoming Tributosaurus gig points out, Pete Townshend and John Entwistle performed there. The list of international acts that have rocked the Martyrs’ stage also includes Graham Parker, Spoon, Pat DiNizio and Jim Bajak from The Smithereens, Beck, Bob Mould, Ian Hunter, Imelda May, and The Yardbirds. Martyrs says fans should stay tuned for online and silent auctions. As someone who’s enjoyed numerous shows at the club, I’m wishing them the best of luck. Music Box Theatre, located at 3733 N. Southport, will be screening the 50th Anniversary edition of Yellow Submarine at 2:00 p.m. this Sunday. A recent article by Randy Lewis in the Los Angeles Times (also carried in the Chicago Tribune) notes that the animated film based on The Beatles song has undergone a 4K restoration with new mixes for all of the songs. The August issue of British magazine MOJO—with a dapper looking David Bowie on the cover—has a six-page feature on Yellow Submarine. That same issue of MOJO has a four-star review of Graham Nash’s new Over The Years double CD of demos and alternative versions, as well as a review of The Rolling Stones at The London Stadium. If you catch Yellow Submarine at the Music Box on Sunday, you can also take in the Southport Art Festival at Southport at Waveland Avenue. It runs tomorrow and Sunday and will offer art, photography, sculpture, jewelry and mixed media. The Square Roots Festival is happening in Lincoln Square this weekend. Matthew Sweet and The Dream Syndicate are the main acts tonight; The Jayhawks, The Handsome Family, Bombino, and Gato Pero headline tomorrow; and Pokey Lafarge and Tossers are Sunday’s headliners. The off-kilter but charming singer-songwriter Dawn Landes will perform tomorrow, and other acts include Les Rodailleurs, and the Alma Afrobeat Ensemble. Tickets went on sale today for Jonathan Richman at Thalia Hall on October 27; Local H at Lincoln Hall on November 18; Marcia Ball at SPACE on August 23; The Sadies at Hideout on August 6; and Todd Snider at SPACE on November 7. 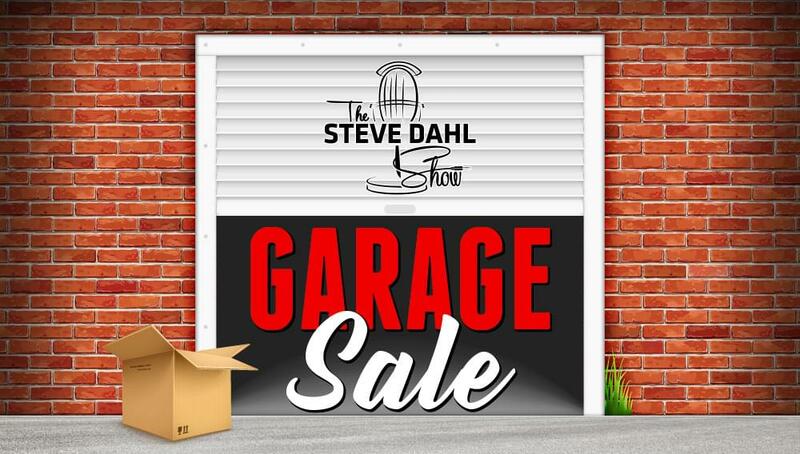 WLS-AM radio host Steve Dahl is holding a Garage Sale tomorrow at the Rivers Casino in Des Plaines that will benefit Beds Plus, a charity organization dedicated to helping homeless people. He’ll be selling vintage vinyl, CDs, artwork, sports memorabilia, old studio equipment, and assorted personal belongings. EXPO ’76 will be performing an eclectic selection of cover songs from noon to 2:00 p.m., and there will be food trucks on hand. The garage sale runs from 10:30 a.m. to 4:00 p.m. in the casino’s north lot. Admission is free but you have to be 21 or older to attend. The 8th Annual 5K Run To End Homelessness kicks off at 8:30 a.m. tomorrow at Montrose Harbor, and the fastest 50 overall runners will win two 3-day passes to Riot Fest. Alt rock band whitewolfsonicprincess will be at Moe’s Tavern tomorrow night at 8:30 p.m. Boundary Waters and Waterplanet are also on the bill. Next Saturday, whitewolfsonicprincess will perform at The Store with The Darkroom Men and Flapunco. Robert Cray has a gig coming up at the North Shore Center For The Performing Arts in Skokie on July 21, and Chris Isaak rock that same venue on August 12. Congratulations to Loyola University Chicago on coming in at Number 5 on College magazine’s Top 10 most eco-friendly colleges in America. According to a Sun-Times article by Alice Bazerghi, the top spot went to Colby College. It’s located in Maine, and held its first Green Graduation ceremony this year. Urgh! A Music War, the 1981 documentary that features performances from The Go-Go’s, X, Echo And The Bunnymen, UB40, Devo, 999, Gary Numan, Devo, Orchestral Maneuvers in the Dark, and several other punk and new wave bands, will be screened at the Music Box this Monday July 16. Admission is $10. Power pop fans who show up at FitzGerald’s in Berwyn next Saturday, July 21 will witness a transformation as Cliff Johnson and The Raine open the evening, and Johnson and the original members of Off Broadway close it. The Raine (John D. Kolonel, Dave Sebastian, Bill Bickel, and Bill Kowalski) have done a great job of backing Johnson as he performs Off Broadway tunes, but it’s also a safe bet that longtime fans will love to see the original Off Broadway back on stage again. Foo Fighters have sold out their Concrete and Gold Tour date with The Struts and Melkbelly at Wrigley Field on July 29, and added a show with The Breeders and Touched By A Ghoul at the Cubs park on July 30. Like a lot of us who’ve accumulated rock and roll memorabilia, WLS-AM radio host Steve Dahl is looking to get rid of some stuff. What sets Dahl apart is that his immense popularity stretches back beyond the earliest days of juggernaut hard rock station The Loop, and he’s had access to all sorts of promo material. He’s interviewed famous rock musicians and performed parodies with his own group. Plus, as noted in a recent Chicago Tribune article by Jennifer Johnson, money from the sales at his Garage Sale this Saturday at the Rivers Casino in Des Plaines will benefit Beds Plus, a charity organization dedicated to helping homeless people. Dahl explained to Johnson that he’ll be selling vintage vinyl, CDs, artwork, sports memorabilia, old studio equipment, and “some personal items.” Back in 1983, I heard from friends that Dahl did a phone interview with The Hollies in advance of their reunion tour (Graham Nash was even involved) performance at ChicagoFest. The possibility that he might be selling items from that tour brings back memories of when I was a kid and WLS—a Top 40 station in those days—was giving away Christmas cards from rock stars. They had one from The Hollies but I wasn’t the lucky caller who snagged it. Even with no Hollies items involved, it should be fascinating to discover what Dahl has to offer. Another incentive is that musician Dag Juhlin, who’s a regular on Dahl’s current afternoon show, will be performing from noon to 2:00 p.m. with his extremely entertaining covers band EXPO ’76. Juhlin’s extensive resume also includes Poi Dog Pondering, The Slugs, and the recently formed Sunshine Boys. The garage sale runs from 10:30 a.m. to 4:00 p.m. in the Rivers Casino’s north lot at 3000 S. River Road. Admission is free but you have to be older than 21 to attend. There’s a power pop explosion coming up at FitzGerald’s in Berwyn on July 21 when Cliff Johnson and The Raine open the evening, and Johnson and the original members of Off Broadway close it. The Raine (John D. Kolonel, Dave Sebastian, Bill Bickel, and Bill Kowalski) have done a great job over the past few years of backing Johnson as he performs Off Broadway tunes, but it’s also a safe bet that longtime fans will love to see the original Off Broadway back on stage again. I’m hoping to have more on this as the gig gets closer. WESTfest kicked off today at 5:00 p.m. and will continue tomorrow from noon to 10:00 p.m. and Sunday from noon to 10:00 p.m. Presented by the popular and critically acclaimed Empty Bottle venue, the festival will offer over 30 live acts and DJs at Chicago Avenue and Damen. The Millennium Art Festival at Lake and Michigan Avenue also started today, and will be back tomorrow and Sunday. Congratulations to Pilsen on being chosen by Forbes as one of the world’s “coolest neighborhoods.” As reported by Katherine Rosenberg-Douglas in this past Tuesday’s Chicago Tribune, the Forbes travel writers praised the Chicago neighborhood for its, “hip galleries and walls decorated with colorful murals.” Rock fans have grown more familiar with Pilsen in recent years due to the emergence of Thalia Hall as a popular venue for indie rock shows. Last Saturday night’s birthday bash for local musicians Ellis Clark, Ary Paloma Jeebie, and Chloe F. Orwell at Montrose Saloon underscored the venue’s emergence as a viable new showcase for Chicago area bands. A number of musicians were on hand to join in the fun and watch performances by The Frantastic Sound System, The Handcuffs, and Ellis Clark’s Big Parade. Upcoming shows at Montrose Saloon include Futuristic Drago playing the music of T Rex tomorrow night, The Amazing Heebie Jeebies (fronted by Ary Paloma Jeebie) and The Dyes on July 14, and The Bon Mots and Mike Coy and Friends on July 28. Songs from the beginning. I was excited when I read about Graham Nash’s Over The Years two-CD compilation on social media and The Second Disc website, and now that I’ve had a chance to listen to the album, it totally fulfills my expectations. Over The Years offers a fascinating behind-the-scenes look at some of his best-known songs via previously unreleased demos and alternate versions. I’m planning to post a full review in the near future. Nash will be spending the last week in July performing in England. The Square Roots Festival being held in Lincoln Square next weekend will offer an eclectic and guaranteed entertaining selection of acts throughout its run. Matthew Sweet and The Dream Syndicate are the headliners for Friday night; The Jayhawks, The Handsome Family, Bombino, and Gato Pero headline Saturday; and Pokey Lafarge and Tossers headline on Sunday. The off-kilter but always charming singer-songwriter Dawn Landes will perform on Saturday, and other acts include Les Rodailleurs, and the Alma Afrobeat Ensemble. Graphic from The Sons Of The Silent Age Facebook page. Glam and swagger. Chicago area fans of classic British rock can get a double dose at Martyrs’ on Lincoln Avenue this weekend. The Sons Of The Silent Age will be covering the music of David Bowie on Friday, and Great Moments In Vinyl will perform The Rolling Stones’ Hot Rocks 1964-1971 greatest hits album in its entirety on Saturday. Made up of well-known Chicago area musicians, The Sons Of The Silent Age have notched high-profile gigs at Daley Plaza, when the David Bowie Is exhibition opened at the Museum Of Contemporary Art, and at Taste Of Chicago as Billy Idol’s opening act. 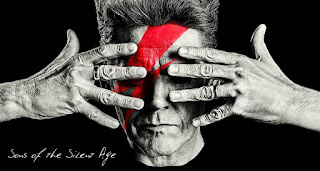 They’ve got plenty of firepower to bring Bowie’s eclectic catalog to life. Great Moments In Vinyl is a collective of area musicians who’ve built a strong reputation by performing classic albums in their entirety on the club scene. Tomorrow night’s English Beat concert at Metro is sure to bring back fond memories for long-time ska fans in the Chicago area. Particularly with Chicago’s own Heavy Manners as the opening act. Both bands started out around the same time; in the midst of a ska revival in England that quickly spread to the States. According to Wikipedia, Heavy Manners opened for The English Beat (as well as The Clash) back in those days. People in attendance tomorrow night can expect English Beat classics like “Save It For Later,” “Ranking Full Stop” and “I Confess,” as well Heavy Manners gems like “Taking The Queen To Tea” and “Hometown Ska.” DJ Chuck Wren is also on the bill. It’s not the biggest or best known among Chicago’s summertime art fairs, but the Millennium Art Festival at Lake and Michigan Avenue always has an impressive selection of painting, photography and sculptures, and it’s right in the heart of downtown. 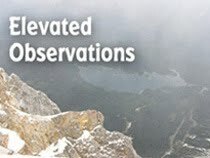 The festival runs from 11:00 a.m. to 6:00 p.m. Friday; 10:00 a.m. to 6:00 p.m. Saturday, and 10:00 a.m. to 5:00 p.m. on Sunday. The Sick Rose is based in Torino, Italy, but guitarist-backup vocalist Georgio Cappellaro spent the better part of the 1990s in Chicago and performed with a band here called The Drapes. Before returning to Italy, he must have packed his suitcases with loads of Midwestern power pop know-how. 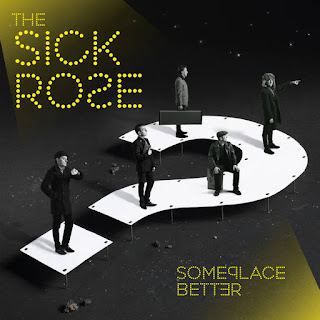 While it’s unclear whether the band’s name comes from William Blake’s 1794 poem, The Sick Rose’s recently released seventh album Someplace Better could serve as a blueprint for how to best use the power pop genre. Produced by Ken Stringfellow of The Posies, the material concentrates on romantic relationships and features Luca Re’s powerful singing and the band’s spirited backing vocals set to catchy arrangements. “How To Be Your Friend” and “Childhood Dreams” are guitar-driven tracks that evoke the earliest power pop bands like The Records and The Raspberries. On “Blame It On Me,” The Sick Rose crafts an achingly beautiful melody without sacrificing a bit of energy. 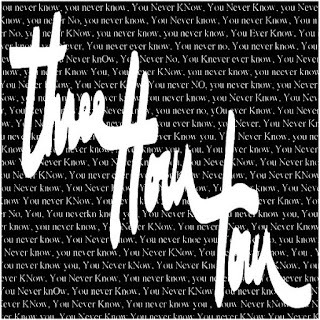 “Nobody” is pure 1960s-fueled entertainment; mixing garage rock with a hint of soul in a high-speed swirl of guitars and keyboards. It’s easy to imagine it being performed on a show like Shindig or Hullaballoo, with a bevy of dancers around the band. “Fortune And Fame” and “Frustrated” likewise explore garage rock territory with fun results, while the title track is peppy instrumental that sounds like it could be a TV theme song.